Every Fourth of July, people across the United States celebrate their independence with dazzling firework displays. Sometimes these fireworks go off without a hitch, other times ... not so much. A few years ago, the city of San Diego accidentally set off all of their fireworks in 30 seconds. 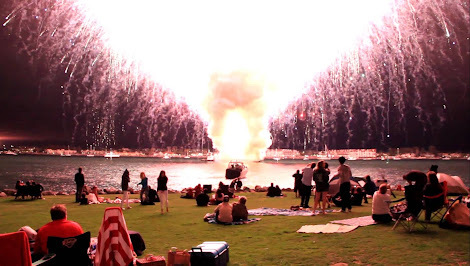 Watch what happens when 30 minutes worth of fireworks all go off at the same time.